MANILA, Philippines — Miss Universe Philippines 2018 Catriona Gray has been featured on November 27 in one of the United Kingdom’s leading news sites, Daily Mail. “Boasting 570,000 Instagram followers, Ms Gray is the hot ticket to cinch the crown next month with Sports Bet Australia announcing her as the $4.00 favourite,” the article announced. According to the story, Gray’s biggest rivals for the crown would be Miss South Africa ($8.00), Ecuador ($7.50) and Thailand ($5,50). The video aims to raise awareness on children’s poverty in the slums of Manila. Daily Mail added that Catriona is known for her promotion of female empowerment and women's causes. 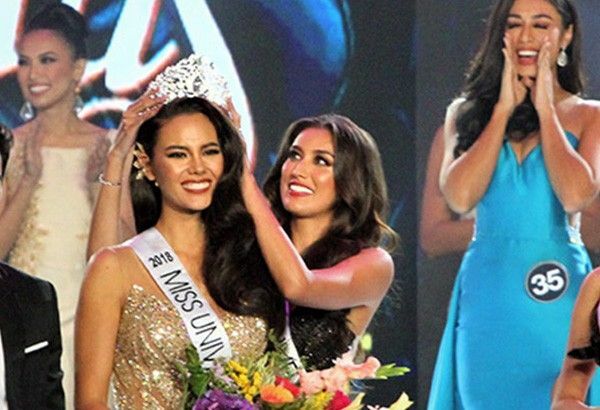 Born in Queensland to a Filipino mother and a Scottish-Australian father, the 24-year-old Catriona Elisa Magnayon Gray, who was named after her two grandmothers, will represent the Philippines at the 2018 Miss Universe in Bangkok, Thailand on December 17.